Posing contrast to mediocrity and releasing records not very often, Coldplay can not afford bring to the table two similar albums. Three years after discreet experiments on Viva La Vida Or Death And All His Friends, the Englishmen express more confidence, as they move steadily away from their original sound. There are those listeners who sacrificed their hearts and souls to the melancholic rock and roll with trembling acoustic and fragile falsetto, and there are also those who would be happy to observe some changes in Coldplay music. Their new studio effort, the fifth in the overall discography, arrived in October 2011. The album was surrounded by the trademark confessions that the musicians had worked on it like it was the last effort for the band, which raised the anticipating anxiety higher than ever before. Now is the time to restore the peace of one’s mind, leave all distractions behind and pay the whole attention to the new Coldplay product. 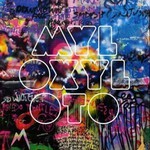 And you will be understood if you can not read the title of the album, Mylo Xyloto, correctly after the first try, but you will have no excuse if you happen to postpone listening to it. Producer Brian Eno, who helped Coldplay make Mylo Xyloto, was their best possible selection. An electronic trickery guru and an architect of complex atmospheres, Brian enriched the record with the so much necessary feeling of changeability, lightness and elusiveness. Beside the substantial tracks, you can find short instrumental pieces, which seems to be the producer’s initiative, M.M.I.X, A Hopeful Transmission, and the title Mylo Xyloto. These are little, yet very powerful, tracks to guarantee your nonstop stay in the world created by this CD. Hurts Like Heaven is interesting mostly thank to the lyrics where each fourth words was chosen randomly, another focus from Eno The Creator. The first serious and truly captivating song here is Paradise with somewhat hip-hop rhythm retracted far into the background and an awesome narration from Chris Martin. Albeit this one is clearly a nod towards pop-rock, it sounds great on the album. Another one made in the same vein is Every Teardrop Is A Waterfall supported with a very memorable promo video. What looks like a biggest surprise and boldest experiment on Mylo Xyloto is a track called Princess Of China, featuring Rihanna. Her strong voice is a perfect match for RnB, but it does not fit so well a more delicate kind of music offered by Coldplay. The choice of this singer is rather predetermined by the marketing and promotion views than by the creative cause. It is all made up for with the exiting ending of the album, namely, the last three songs. The first is Up In Flames, carrying the listener right into the set of the recent London riots, and supporting the idea of faith in a bit of human and reasonable in the world of madness. Then, Coldplay offer a ballad, Don’t Let It Break Your Heart, with a striking piano performance. The very last track is the amazing Up With The Birds, opened with a sample of Leonard Cohen’s Anthem. The song gives you a variety of everything, from classic rock music’s acoustic guitars to a children’s choir, bagpipes and Asian folk instruments. Describing Mylo Xyloto might be nothing but a meaningless endeavor, for you can only listen to this colorful, original and ground-breaking music. Coldplay do not look around or listen close to their colleagues. They simply have got a hell of distance ahead of everybody.